ATLANTA, GA – If there is one thing LaTonya Gates Boston is passionate about, it is giving at-risk children the same care and community she received as a child. She urges the youth she works with in her after-school program to believe that no matter how challenging circumstances may seem, it is possible to overcome adversity. It is possible to succeed. LaTonya was born at a state prison in Rome, Georgia in 1972. Her mother was a heroin addict, serving jail time for her habit when she had her baby girl. She had already had an abortion when she found herself pregnant again. LaTonya was born a heroin baby because of her mother’s addiction, suffering all the withdrawal symptoms of a user. She was brought home from the hospital by her grandmother, who lived in the Atlanta neighborhood of Decatur. Since LaTonya’s aunt and grandmother had joint custody of her, she went to live at her aunt’s house for a short time. When she was five years old, she moved to her grandmother’s again. This was a carefree season of life for LaTonya, but it didn’t last long. In first grade, her innocence was tragically shattered when she was molested by an older cousin. The abuse continued through fourth grade. Eventually she would gain the courage to admit the abuse and testify against her cousin in court. “I knew the truth had to be told,” she says. The abuse left scars and her emotional healing was a slow, difficult process. In high school, LaTonya was expelled from all Dekalb County schools and attempted to commit suicide on several occasions. In tenth grade, she gave birth to her son Anthony. When Anthony was a young boy, his father made the tragic choice to commit suicide. Depression ran in his family and suicide had also claimed his grandfather and great-grandfather. Now, Anthony was left without a father figure in his life. As a result of the pain she endured, LaTonya’s educational future could have been derailed. However, God graciously intervened. Communities in Schools, an organization dedicated to keeping kids in school, helped her get involved with an alternative learning program. Thus, she was able to attend St. Luke’s Academy, where she graduated at eighteen. At nineteen, she met Lorenzo and had her daughter, Larenzia. LaTonya worked hard to remove herself and her children from the destructive cycle of drugs, jail, and poverty in their community. After high school, she received her Associates degree in business and went on to work at the American Red Cross as a human resource journalist. She then attended Kennesaw State University and earned her PHR degree in Human Resources. As a young mother, LaTonya heard about the Atlanta Youth Academy (AYA) and both her children were accepted into the program there. She became PTA president and was asked to begin leading the after-school program at AYA. By the end of the year, there were 89 youth regularly attending. It was becoming apparent that LaTonya excelled at leading after-school programs. It was at AYA that LaTonya met Chuck Johnson, a man who has helped establish several successful academic establishments in the Atlanta area. He is the executive director of AYA and, together with his wife JoElyn, has become a pivotal means of support and encouragement to LaTonya and her husband Carlos, whom she married in 2006. Johnson became like a grandfather to her children and took a keen interest in seeing them thrive. He helped Anthony attend Whitfield Academy during his high school years. 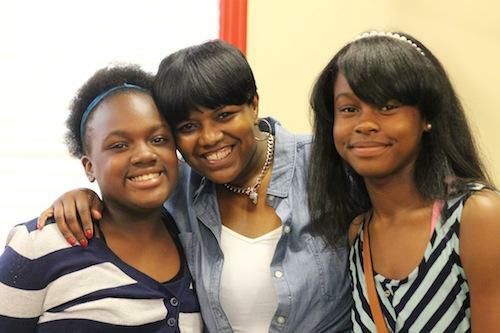 After four years at AYA, LaTonya was asked to lead an after-school program at Walton Adventure Center in Atlanta. This would be a year-round, Christian enrichment program for children in the Walton community. At first, this invitation surprised her as she had not considered leaving AYA. But she sensed God leading her to Walton. In her seven years there, the children have become like her own, and her center recently received top honors as the star adventure center of 2014. Now, LaTonya is thrilled to begin Paradise Atlanta Westside (PAW), an after-school program in the neighborhood of Grove Park. The program will focus on enriching the lives of children physically, emotionally, intellectually, and spiritually in a safe, Christian environment. Because of her past, LaTonya understands the unique challenges children in this lower income neighborhood face and desires to be an advocate for them.